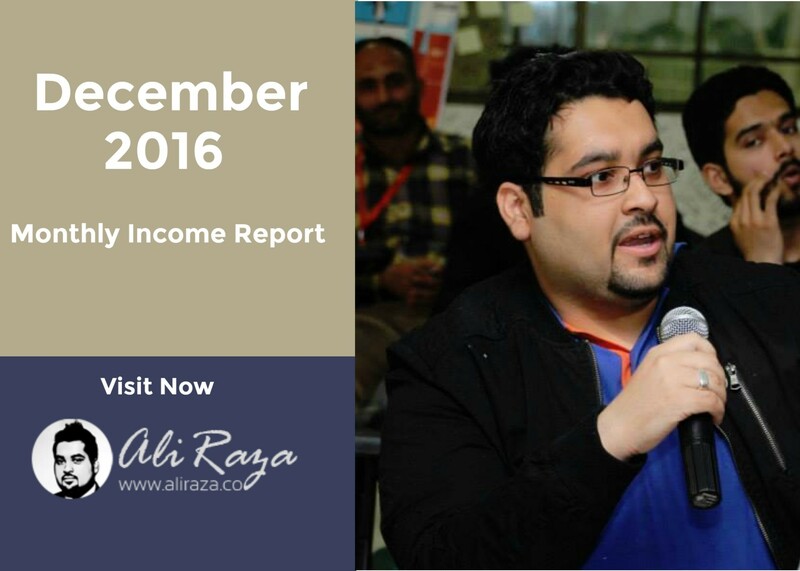 Welcome to the December 2016 Monthly Income Report for AliRaza.co. This is the 15th Monthly Progress Report of this Blog. The purpose of Monthly report is to review the amount of work I do every month, along with website, social media and subscribers statistics. In other words, I critique the performance of myself and my blog every month to see where i’m standing. 2 Posts Created In The Month of December, 2016. 2.4 Comparison with the Month of November 2016. 3.7 Plans for January 2017. Last month if you guys remember, I had installed an SSL certificate on the website but the thing didn’t went easy as it was expected since i completely forgot that I have to change all the inter-links to https.. You know that you just don’t have to change your URL but you have to redirect all your URL’s to the new addresses. Hope it helped someone who is looking for a easy way to redirect the domain from http to https. Posts Created In The Month of December, 2016. In the Month of December, 2016. The site has addition of 5 new posts. November Monthly Report was the regular monthly report last month, where i discussed the usual strategies, website tweaking, along with traffic, stats and revenue details. The new addition was SSL certificate. I hope everyone is aware of what i do cover, so do check it, if you haven’t still. 5+ Reasons To Start Ecommerce Business With Shopify! The second post was from Ahmad, one of the talented professionals from Pakistan in the field of Graphic designing. We all know that the Importance of E-commerce Industry cannot be ignored. The boom is here and it’s GOING to Stay!. This time, any offline business can be taken online, or in fact you can come up with your own Online Model!. What matters is execution and how you do it, checkout what Ahmad has to say on this. Do you remember those days when every email used to be very important for us? You might think, well, it’s still important today… With time, The concept of email marketing has taken the importance of email to another level. We’ll dig deeper into email marketing and this article will help you learn, understand, and implement the email marketing science. Do checkout and let me know your thoughts. 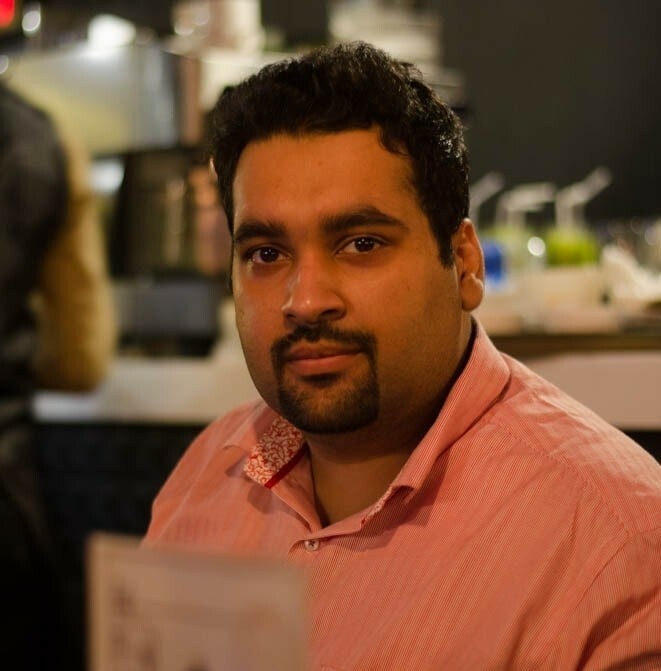 Abdul Samad Essani has to share something about Link Building in 2017. If you are looking for different free ways to build links in 2017, then this post is going to be an awesome read!Do check it and share your thoughts there. Seogroupbuy.net Review – Stop Paying Thousands of Dollars in SEO & IM Tools! SEOGroupBuy is a service focused on Group Buying. STOP! Paying Thousands of Dollars in SEO and IM Tools! Checkout What SEOGroupBuy has to Offer! $5000+ Worth Tools from just $27 per Month. Here are the traffic stats for the Month of December, I received a total of 2050 number of unique visitors, 2565 Sessions and 4,222 Page Views. For a quick revision, the number was standing at 2136 Unique Visitors with 2701 Sessions Last Month. Let’s have a look on the traffic sources to get an idea on what are the top traffic acquisition sources for this blog in the month of December,2016. Comparison with the Month of November 2016. Traffic needs to be consistent, one month i see a decrease and the other month i get the increase, this is getting boring and i need to be a little consistent with the traffic. 28% Traffic downfall is a negative trend which needs to be taken seriously, however the inter linking and majority of links not working due to changing of the website from http to https and unfortunately i didn’t had this thing in mind for the whole month which can be the reason for this downfall. Social Traffic going down isn’t a good idea. Although organic traffic went down by just 7% but i’m optimistic for the increase this month. The November Monthly Income Report won the show! Surprisingly, an old article on How To Fix An Adwords Suspended account? got the second most views number, however i have also updated it last month and that is paying back. 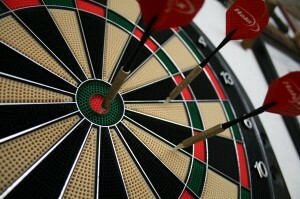 The world’s simplest guide to email marketing came to third! Thanks for the love guys! Google Plus – 341 Followers (Last Month I had 328 Followers) – +2 This Month. Twitter – 504 Followers. (Last Month i had 503 Followers) – +1 This Month. Thankfully, all social channels subscribers increased and the numbers were in positive, I’m so glad for the love. Let’s have a look on the traffic I received from Social Media Traffic, last month in December. Overall, a total of 1253 people were added to my networking list, thank you so much for your support and love, I appreciate. Facebook won the show again with 94% of total social media traffic. Got surprisingly 18 visitors from Quora and I’m loving them. In December, I was being mentioned at five different places. First of all, I was mentioned at Matthew WoodWard Monthly Income Round up for Bloggers. The roundup covered how 18 bloggers made $317,061 in the month of December. Matthew, You are such a motivation, Thanks again for mentioning my blog report. Then Gaurav mentioned me on his website about ‘How to Brand a blog? : Expert Advice‘, Thanks Gaurav, I really appreciate the gesture, hope your audience learnt something from it. Lastly, Adeel mentioned me in his latest post, ‘Are you the moody blogger?’ – It was an honour for me when he appreciated my consistency on the blog and how i’m achieving success due to being consistent. Question : How much traffic can I really get from search? Answer : Even Sky is not the limit, there is no limit exactly be it either organic or paid, but for this question, I will try to answer the opinion specifically for organic. Look, i can build links and multiply my search traffic in no time, all i need are some bucks to spend and that too from what i earn here and I can multiply the earnings in no time, but my goal is to build real traffic, real visitors, real back links and real organic traffic so that’s the reason I’m following the limited back linking strategy. There are unlimited number of keywords that you can target to rank but if you are looking for the answer for a particular query, then according to Search Engine Watch, Let’s say if a particular keyword is being searched 10,000 times a month and if your website is the Top 1, you will get 33% of the traffic, in other words 3300 visitors a month for that keyword. This month, consultation revenue went down to $500. Thank you everyone for your trust. Please keep in mind that I do have an online advertising agency as well but i keep their earnings separate even if that is of just consultancy. This month, I spent $10 on Facebook Advertising and $120 on maintenance and other tweaking of the website. P.S. Just for a re-cap, it was $905.96. last month, the decrease in the number was expected due to many reasons, firstly it was christmas season and people tend to spend more time on shopping. The other reason can be that I had some expenses to bear with my site which i would like to continue for a while. Goal Checkups are some sort of motivation for me. I keep a check every month to see what I’m doing with my blog. Last month, I had few goals for December, Let’s see how much successful I was on them. For January, I plan to write at again least 5 posts. I’m planning to introduce SEO Services for my readers at exclusive prices. Keeping in mind such an awesome increase in consultations from this blog, I have decided to change my revenue streaming strategy for this blog. Over the past month, I was looking for number of ways to monetise this blog and I concluded on few things before I started finalising from where to earn. Good thing good, I’m able to establish myself as pioneer in Paid Advertising, SEO and Digital Marketing field towards my readers, I’m still learning, and i feel myself too blessed with this Gesture. 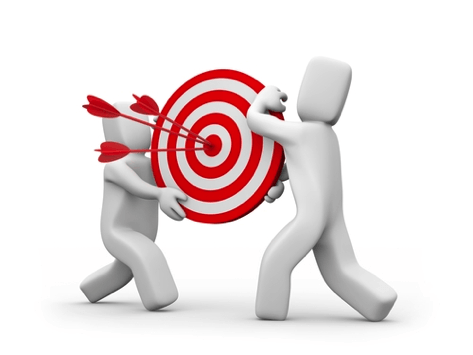 Customised Low Priced Google Adwords and Facebook Ads Setup. Paid Advertising and SEO training courses on Udemy. I’m also planning to establish my youtube channel this year which i will eventually use to get more leads to my training courses, paid services, affiliate reviews and to this blog. I feel there is no life without goals and same goes with blogging, there is no blogging with goals. If you don’t have goals then you won’t fight to achieve it, so I’m going to have some goals for my blog to achieve in 2017. I want to cross 5000 organic visitors per month from this blog, currently getting around 700 organic visitors. Currently the blogging traffic stands around 2000 visitors per month but i look forward to turn it into 10,000 visitors per month till the end of December. I also look forward to cross 2500 Email Subscribers. I also look forward to cross 12,000 Facebook Fans & 2000 Twitter Followers till the end of 2017. I also plan to give more public appearances, participate in more round ups and question answer sessions. I also would like to do some guest posting on other blogs, a thing which i need to do from a long time and I’m still missing on that. I am also planning to launch a free giveaway ebook to increase subscribers. I am also planning to do a competition on my blog. I am also planning to get some shirts printed with my blog and agency name on them. I also want to lose around 15 to 20kg weight this year, so wondering should i document my weight loss results on this blog too? because im in no mood to create another blog for that, otherwise i can skip it too, so let me know your thoughts! 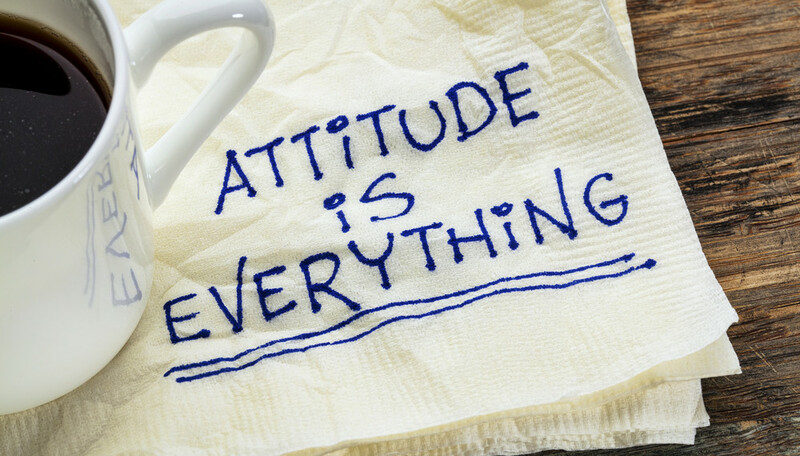 Yes right, attitude is everything. When there is a will, then there is a way. God doesn’t help those who don’t help themselves. Hopefully I achieve all of my targets mentioned above, in anyway, I need best wishes from you guys and I want you guys to counter check me in case if i misses anything. Anyway, How was the blog report for the month of December, 2o16? As always, I’m open to criticism, what are your thoughts on my blogging strategy? Did i miss something? What do you want me to add in my monthly reports article? Every appraisal and criticism is welcome here, please do comment on what you think. MashALLAH, you’re doing just awesome! The numbers may go down and up but the best thing is you’re kicking the business with your best. The good thing is… You’re consistent. And consistency is what will make you go higher and higher in the future, InshALLAH! Thank you so much for quoting my status. I remember you reshared that on Facebook as well, I guess. One of the lessons I have learned along the way is that ‘if you want it, you ultimately get it’… so it’s just a matter of time. What we need to do is stay there and keep trying… It leads us to the goldmine of lessons that would not have been possible otherwise. Your’s welcome. You deserve that. and Yes i shared it on facebook too, because it’s too awesome.